"We the Peeple" are no longer the most intelligent life in the universe. We are in a mad world, aren’t we? Everyone is impatient, looking for results with haste, and no one minds telling anyone within auditory distance how fed up they are with the smallest nuance of life. That mindset has allowed the Internet to become a classic enabler. People want to star in their own movie, hoping everyone around them wants to hear their opinion. And so, we rate things—hotels, restaurants, locales, Internet shopping, among others, to help enhance our social street cred. 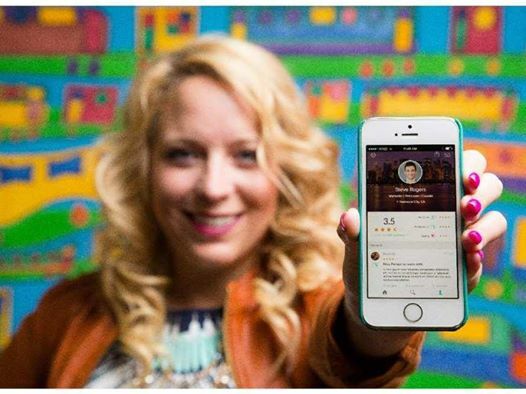 And now, we can rate humans, thanks to a new, malevolent app called Peeple. As if cyberbullying wasn’t already a thing, directing pointless vitriol in the general vicinity of anyone who has wronged someone with a Facebook page or Twitter handle for you know, breathing, here comes an app that actually allows humans to be given a score. In who? Satan?! Even Mephistopheles would stray from this idea. Regretfully, it’s a clear depiction of how people are in this social universe—oblivious of anyone, and looking out for number one so they make others feel like number two. Hello internet. I have dumb ideas and say things clumsily. Can I package this as a start up and get loads of cash a la #Peeple, plz. Fundamental flaw with #Peeple: The only kind of people who would want to “rate” other people are the Exact people who shouldn’t be able to. PEEPLE An app to rate humans whether they be homeless or bankers … One thing is clear; the “peeple” who made it are a bunch of rankers.